Mermaids are found in folklore all over the world. half woman in lakes and rivers too. giving blessings and falling in love with their human counterparts. who wept tears which became pearls. yet falls in love with him instead. In Africa the Mami Wata are water spirits of both sexes. and associated with the Orisha Yemaya. of these stories when designing the Mermaid earrings. yet only ¾ of an inch long. and she swims though the waters. in the passion of such creatures. 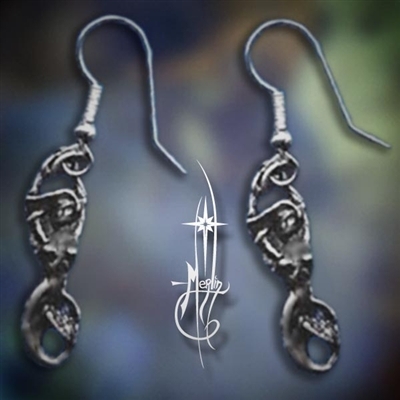 please go to my Mermaid Earring page. To see more of my Earring designs, please visit my Earring Page!